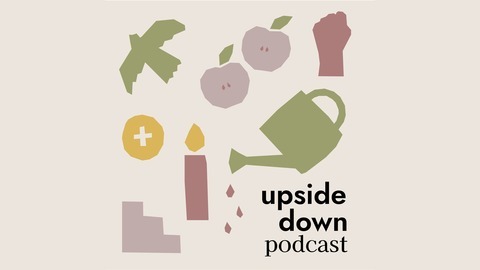 Upside Down Podcast features unscripted conversations on spirituality, culture, and God's Upside Down Kingdom. We dive into justice, spirituality, and Christian culture. No topic is off limits. Upside Down Podcast is a collaborative, Christian podcast co-hosted by Kayla Craig and Lindsy Wallace. Some of our most popular episodes include Hashtag Blessed, The Enneagram, Downward Mobility, Gentrification, and a special interview with John Perkins, civil rights leader and founder of the Christian Community Development Association. 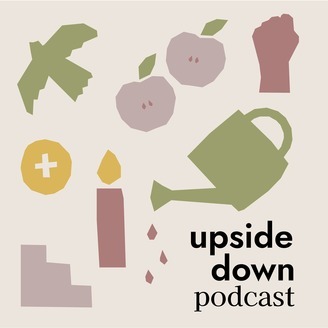 Upside Down is proud to be an ecumenical podcast, bridging the gap between Catholic and Protestant thought. Visit www.upsidedownpodcast.com or follow us on Instagram at @upsidedownpodcast. What is prayer? Why does it matter? Is there a right way to pray? Join Kayla Craig, Lindsy Wallace, and Alissa Molina as they enter into an engaging, unexpected, fast-paced conversation with Justin McRoberts and Scott Erickson; the authors of Prayer: Forty Days of Practice. We talk about praying when you don’t want to pray or don’t know how, being angry at God, creation as a form of prayer, and why prayer is an important part of God’s upside-down Kingdom. Justin McRoberts is an author and musician who hosts the @Sea Podcast and lives with his wife and two kids in the Oakland/San Francisco Bay area. Scott Erickson is a touring painter and performance artist who mixes autobiography, biblical narrative, and aesthetics to create art. He lives with his wife and three kids in Portland. Answer how writing and creating can be redemptive tools. Join us as we dive into prayer, creativity, and spirituality. If you’d like to support us to keep Upside Down Podcast ad-free, please visit us, where you can pledge a few dollars of monthly support to help us pay our bills and keep the conversations going. Join the Upside Down Tribe on Facebook! Episode 50 - Begin Again: Examining Our Stories & Introducing New Co-Hosts!